I swear my husband and I are not strictly gluten free eaters. But I can't help cooking and baking this way! In fact, because of this pregnancy, I've eaten more carbohydrates (the bad ones might I add) and sugary fattiness than I'm proud to admit. I mean sure, we try to eat pretty well and yes, for the most part our daily diet is whole grains or no grains, lots of good protein and lean foods...but shoot recently all I want is a carb dripping in sugar. Is that too much to ask? I LOVE cooking and baking gluten free things though! I don't know why! Maybe it's because at first I was so unfamiliar with it all and when I went to my local health food store there were all these fun flours and ingredients you needed in order to successfully make a gluten free item. It was like a fun edible science project. I became pretty obsessed. Plus, I doubt eating gluten free foods is hurting us in any way ;) Plus, plus- so many of you guys unfortunately have to eat gluten free- so I enjoy finding great recipes for you all to try. 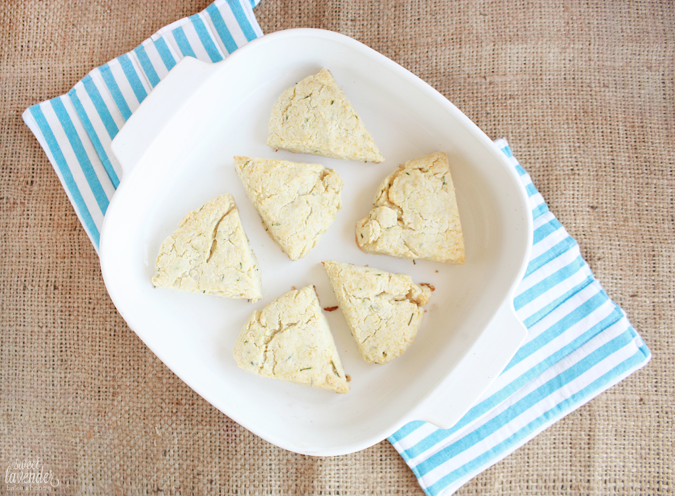 Case in point- these gluten free buttermilk chive biscuits! Golly gee, they're pretty great. Stuffed with butter and buttermilk, they're super flavorful. Plus the fresh chives give them little bursts of subtle onion flavor- which we totally dig. These babies are SO easy to make- seriously. You don't even need to wait for anything to come to room temperature. In fact, they all NEED to be cold as can be- makes a much fluffier biscuit. Oh! If you're fresh out of buttermilk, you can add the juice of half a fresh squeezed lemon to 1/2 cup cold whole milk, stir, and let it sit for 5 minutes. Viola- instant buttermilk. Like I said, easy peasy. These babies from start to finish should be done in 20-25 minutes. Can't. Beat. That. 1. Preheat oven to 450°F and line a baking sheet with parchment paper, silpats, or lightly spray with cooking spray. Set aside. 2. 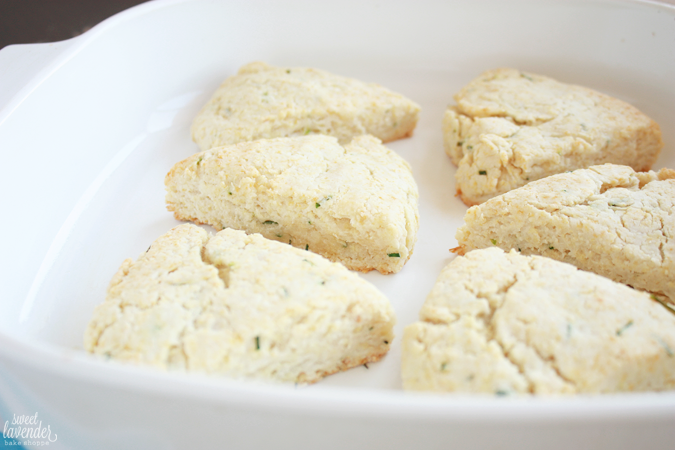 In a medium bowl, whisk together the flour, baking powder, baking soda, salt and chives. 3. Add in the cubed cold butter and work into the flour with either a pastry cutter or your fingers. You're looking for the butter to resemble the size of peas. 4. Gently stir in the buttermilk and mix together until JUST combined and dry ingredients are moistened. If need be, add another dash of buttermilk to achieve this. Add ONLY if you absolutely need; 1 tablespoon max. 5. Place dough onto a lightly floured surface and quickly work into a ball, trying not to overwork dough. Pat into a disk about 3/4" thick and slice into 6 wedges. 6. Place wedges 1" apart on your sheet pan and bake 12-15 minutes or until bottoms and tops are a nice golden brown. Serve warm with lots of butter! I was in no way compensated for Pamela's Flour. Nor was I working for or with them, in this post. I just genuinely liked the product and wanted to share it with you all. Oh man, see! Now that's exciting. Makes doing this whole thing THAT much better :) So glad you enjoy. Oh believe me, I'm NOT really eating healthy. There's way too many ice cream, cookie, sugar filled desserts going into my mouth on a consistent basis. I'm actually a tad nervous for that glucose test because of this stuff! I need to reign it in stat.